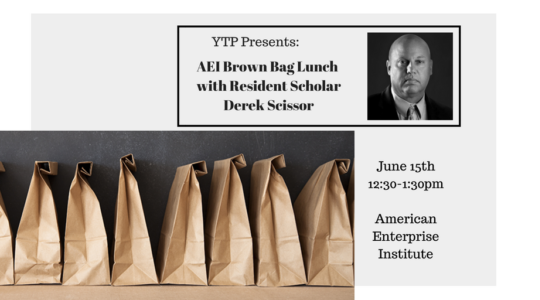 There are few in D.C. more qualified to talk about the current status of U.S.-China trade relations than Dr. Derek Scissors, and this brown bag lunch could not have come at a better time. Talk of a trade war between the world’s two largest economies is escalating almost every day, and sometimes every hour. Dr. Scissors will discuss the ongoing negotiations and provide context about how we arrived at this point before answering questions from a small group of attendees. Join YTP and reserve your seat today for what should be a lively discussion with Dr. Scissors.